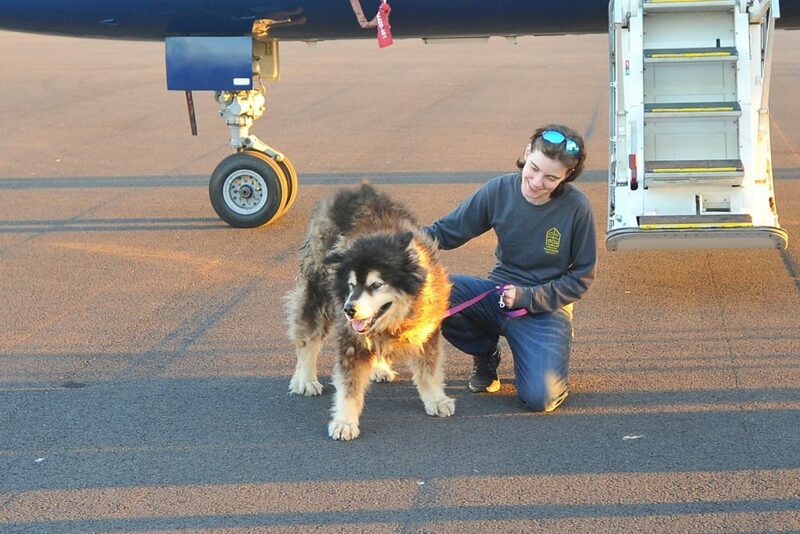 Yogi, seen here in South Korea, is one of the eight dogs transferred to the Oregon Humane Society. 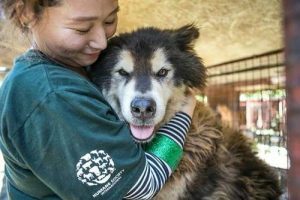 In partnership with Humane Society International (HSI) the Oregon Humane Society is caring for eight dogs from South Korea. 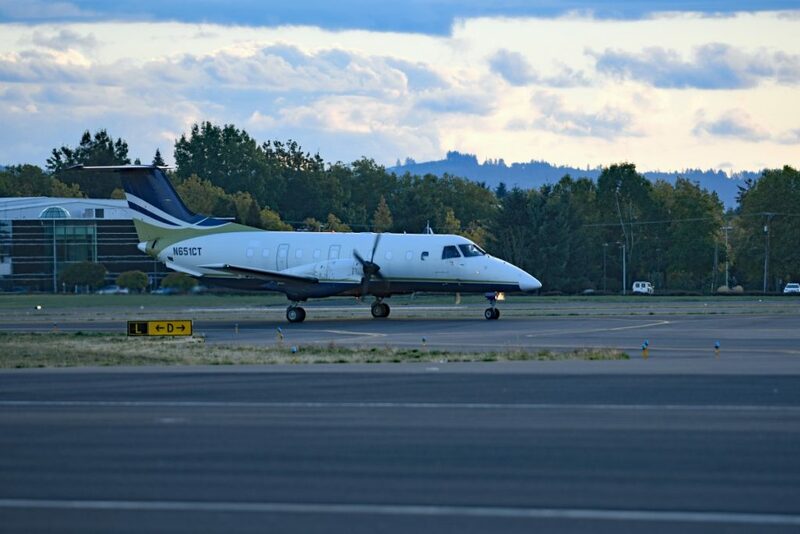 They arrived on Saturday along with 17 other dogs who were transferred to Humane Society of Central Oregon, Columbia Columbia Humane Society and PAWS in Seattle. 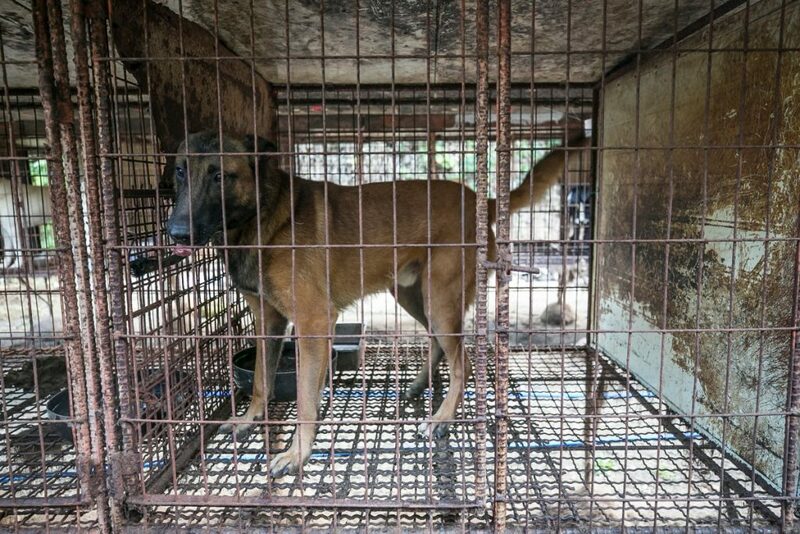 The animals are from a group of more than 200 who were rescued as part of HSI’s efforts to phase out the cruel dog meat industry in South Korea. HSI works in partnership with farmers who want to get out of the increasingly controversial business and transition to a more profitable and humane livelihood. 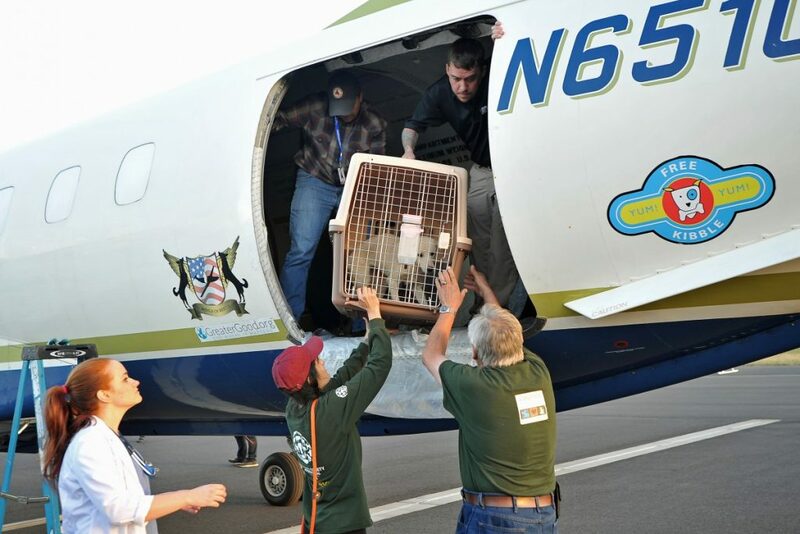 “This effort is a great international collaboration to save these dogs and we are honored to be a part of it,” says Sharon Harmon, OHS President and CEO. 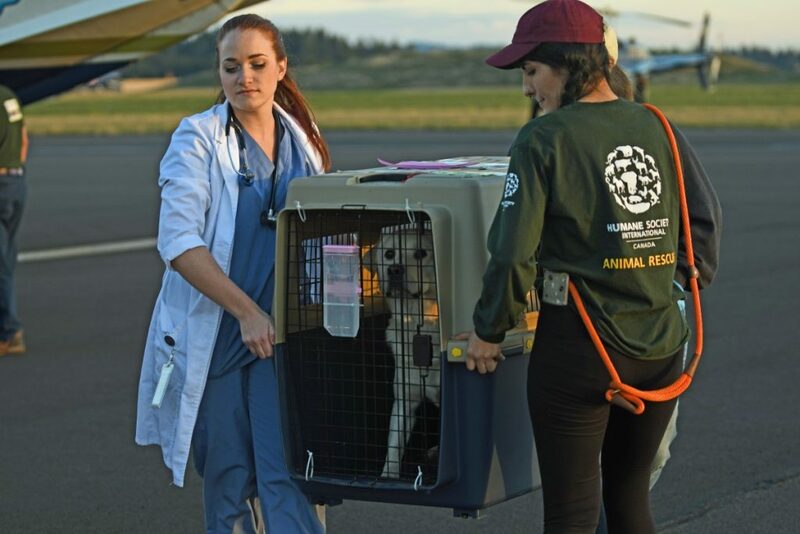 The dogs have all had extensive medical evaluations, vaccines and spent 30 days in quarantine in South Korea before coming to the US. The dogs will not be available for adoption immediately while they receive additional medical assessments and behavior evaluations. The dogs are coming to the Oregon Humane Society through the Second Chance program, which gives pets from partner shelters / rescues a second chance at a loving home. 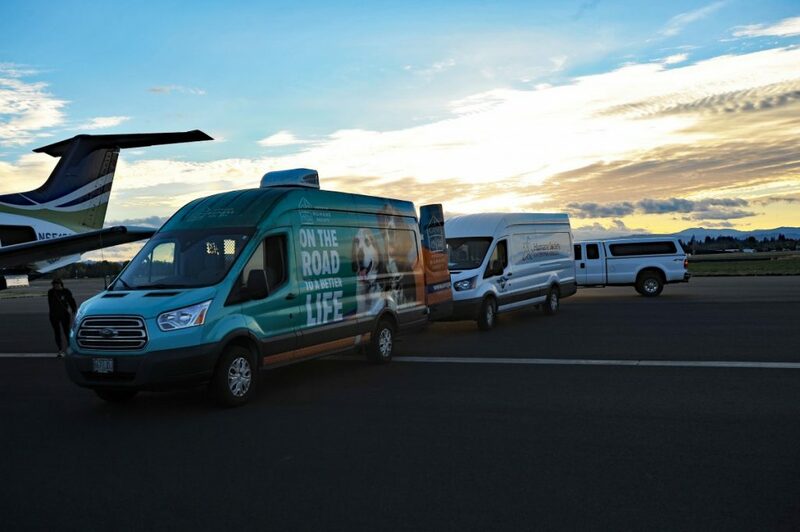 Since January 2018, OHS has received close to 6,000 pets from shelters throughout Oregon and other regions of the country through the program. Yogi getting ready for her trip to the US. 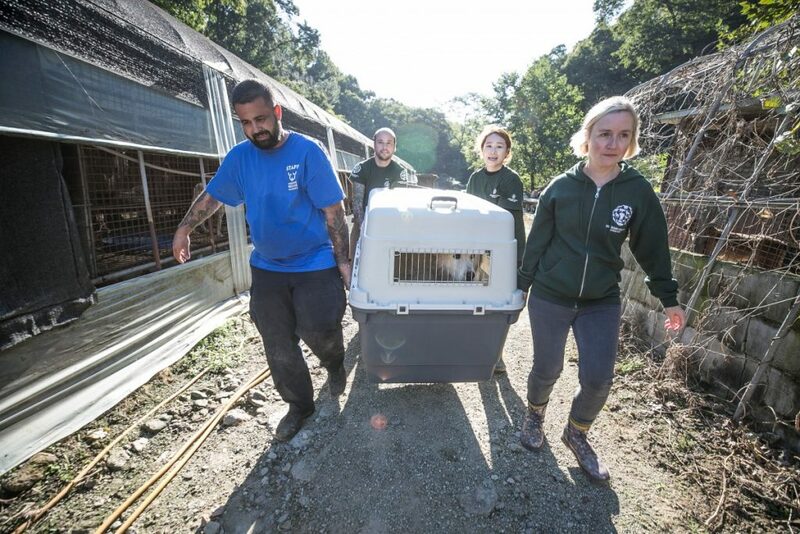 The HSI team helping Yogi out of her kennel. 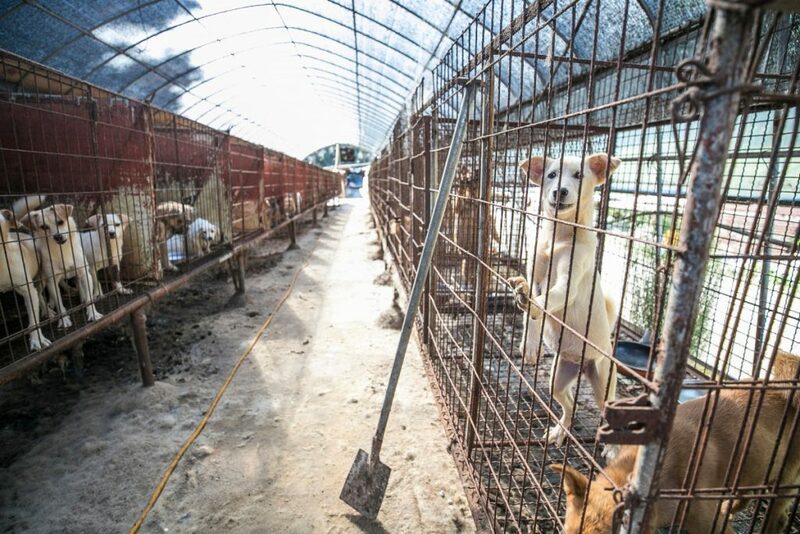 More than 200 dogs were rescued from “Farm 13” in South Korea. HSI works in partnership with farmers who want to get out of the increasingly controversial business and transition to a more profitable and humane livelihood.